The Noble Foundation Plant Image Gallery is designed to assist botanists, ecologists, natural resource managers, educators and hobbyist with the identification of plants commonly found in the southern Great Plains. The Plant Image Gallery includes numerous images of each plant species for your ease in their identification. The Pollinator Conservation Resource Center, provides regional information about plant lists, habitat conservation guides, information on what plants are best for pollinators by region, and a directory of native plant nurseries and seed dealers. This resource center is a collaboration of the Xerces Society and Neal Williams at the University of California, Davis. Significant funding was provided by a grant from NESARE. Additional funding was provided by the USDA Natural Resources Conservation Service, the Columbia Foundation, Turner Foundation, Panta Rhea Foundation, Disney Wildlife Conservation Fund, CS Fund, Wildwood Foundation, CERES/Greater Milwaukee Foundation, Bullitt Foundation, Organic Valley, Organic Farming Research Foundation, The White Pine Fund/The Hawksglen Foundation, and Xerces Society members. Education on invasive species identification, impacts and management is critical to effective prevention efforts. While outreach materials come in many forms, the most common products are brochures, signs, handouts and other graphics aimed at specific audiences or advancing specific messages. An inventory such as this is necessary to avoid duplication of effort, to enhance exchange of readily available information, and to help educators, managers and outreach personnel evaluate gaps in existing outreach efforts. This searchable inventory of AIS outreach materials is available to all users and has a dynamic web interface that allows registered users to input their own education and outreach materials as well as having a peer review and ratings system for material evaluation to help maintain a high standard for submissions. New users may wish to browse through the system before using the search features to get a better idea of the types of materials available. Organizations that have developed outreach tools that are available for distribution are encouraged to register and use the dynamic interface to upload a record of their own materials. Please see our FAQ section for more information on who should upload records and what information we need to validate your material(s). In addition to the inventory of materials we are in the process of developing an image gallery where AIS images available for non-commercial use can be downloaded for use in the development of new materials (this will reduce image fatigue - i.e. seeing the same photo over and over again in every brochure). If you have images that you would like to share for non-commercial use in education and outreach materials you are encouraged to upload these to the catalog as well. We are still in the process of developing a non-commerical usage waiver so downloading posted images is not currently an option but you may contact the person who uploaded the image directly to work out a fair usage agreement. This catalog has been made possible with funding from the Western Regional Panel and Portland State University. The inventory is managed by the Center for Lakes and Reservoirs at Portland State. Please send any questions or comments to draheim@pdx.edu. Quick Energy is a stand-alone tool that allows you to calculate reductions in greenhouse gas emissions based on anticipated fuel savings. You can use Quick Energy by itself or in conjunction with your COMET-FARM user account. Reviews is a tool designed to help your find the right online tax software. Here you can compare different online tax tool features to find which software is right for you Click Here. The Sage-Grouse Conservation Library, developed by the Public Lands Council (PLC) and Public Lands Endowment Trust, makes relevant information pertaining to sage grouse conservation available to the public lands grazing community. The scientific, legal, and policy resources collected here were selected to help introduce a balanced perspective and sound scientific information into the policy decisions and legal proceedings that are rapidly shaping sage grouse conservation efforts, and consequently, the management of millions of acres across western rangelands. The SGI Interactive Web Map Application is free and available to the public, presenting cutting-edge geospatial data covering 100 million acres. 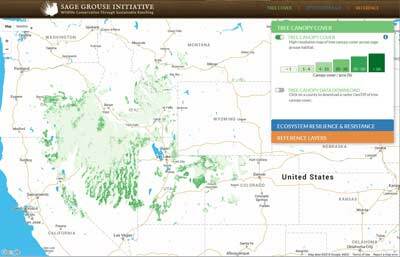 The Sage Grouse Initiative science team has developed an easy-to-use web application that helps visualize, distribute, and interact with information about the sagebrush-steppe ecosystem. The Sage-grouse Local Working Group (LWG) Locator is a web-based, geographically-linked database that describes Local Working Groups and what types of projects and conservation efforts have been identified in their area. The LWG Locator provides a central resource for LWGs and interested stakeholders to facilitate greater connectivity and information exchange throughout the region. Click Here. The Snake River Field Station of the Forest and Rangeland Ecosystem Science Center developed and now maintains this database of the spatial information needed to address management of sage-grouse and sagebrush steppe habitats in the western United States. This site is a portal for spatial data needed for research and management of sage-grouse and shrubsteppe systems. Click Here. Once spreading across the plains, Lesser Prairie Chicken populations have steadily declined due to habitat loss. Wildlife biologists are counting on private landowners to help restore the habitat and hopefully save the bird. This web site is intended to provide information to the public concerning snakes native to Louisiana. Snakes are a fascinating part of Louisiana's natural heritage, but are also a source of much worry and fear among Louisiana residents and visitors. Most of Louisiana's snakes are harmless, and many are beneficial as predators of insects and rodents, as a source of income for reptile collectors, and as a necessary component of the food chain or "balance of nature." The fear of snakes in general, and particularly the venomous species, can be alleviated by understanding the behavior of snakes, and the limits of the threat they may pose to humans. The Soil Conditioning Index (SCI) predicts the consequences of cropping systems and tillage practices on soil organic matter in a field. Soil organic matter is a primary indicator of soil quality and carbon sequestration. A positive SCI indicates a cropping system that, if continued, is likely to result in increasing levels of soil organic matter. For more information see this NRCS PDF. New Mexico State University College of Engineering Professor Tom Jenkins is developing tools to show New Mexico’s farmers and ranchers how they can use one of our state’s most plentiful resources, the sun, to access one of the most scarce, water. Click Here. The Southern Great Plains Crucial Habitat Assessment Tool (SGP CHAT) is a spatial model put together to designate and prioritize areas for Lesser prairie-chicken (LEPC) conservation activities and industry development. As such, it plays a duel role in that it is used to encourage development activities to occur outside of high priority areas as well as monitor activities that occur in each of the categories. In many ways it is the spatial representation of the LEPC Range Wide Plan (RWP). Another purpose of this dataset is to create an online tool usable by conservation managers, industry, and the public that identifies priority habitat, including connecting corridors that can be used in the early stages of development or conservation planning. Click Here to open the CHAT. 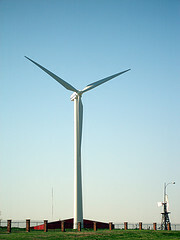 The Colorado Renewables and Conservation Collaborative (CRCC) is an informal group of representatives from the renewable energy industry and the conservation community whose common purpose is to constructively and proactively address conservation concerns related to renewable energy development in Colorado. The CRCC developed a science-based site selection and mitigation framework that describes avoidance, minimization, and/or mitigation actions appropriate to a range of environmental impacts that have a nexus with wind energy development. Use the Southern Plains Wind & Wildlife Planner to find the priority issues that may impact a wind farm location and download applicable shapefiles and Best Management Practices (BMPs). The University of California Cooperative Extension created a website with all the information you need to start a forest management plan. This step by step guide contains information on how to create a forest management plan, how to contact a professional forester, and a wide variety of information on different tools you can use to keep your forest healthy for generations to come. Click here. The US Fish and Wildlife Service works in partnership with many organizations and individuals. Fish and wildlife conservation requires coordinated efforts by the states and the territories, as well as private landowners, tribes, and other countries besides the Unites States. Use this link to find the state agencies that manage fish and wildlife resources. This page provides a way for you to obtain a table of the times of sunrise/sunset, moonrise/moonset, or the beginning and end of twilight, for any year between 1700 and 2100. You can obtain a table for any location worldwide. Important! Please read the Notes section.